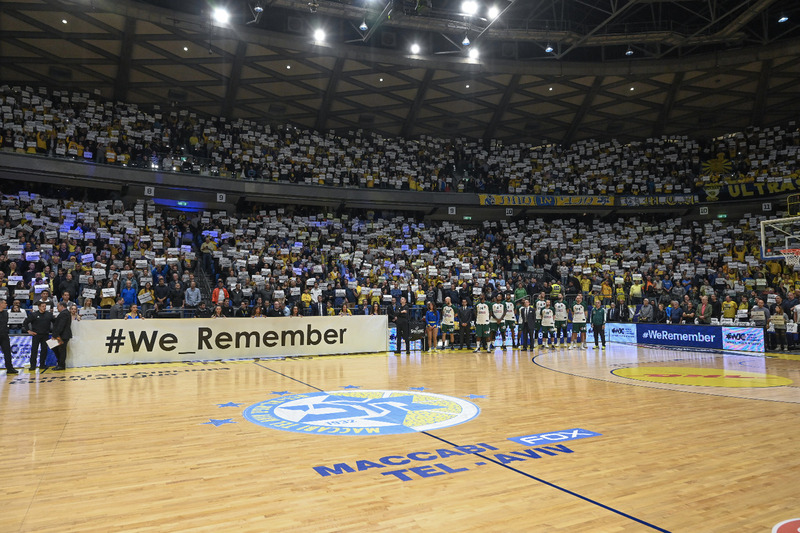 TEL AVIV - The World Jewish Congress marked its annual #WeRemember campaign on Thursday with major events around the world, including two top-level sports gatherings in Israel, the International Judo Grand Prix and Maccabi Tel Aviv versus Panathinaikos in the EuropLeague. On the sidelines of the Judo Grand Prix, WJC Chief Program Officer Sonia Gomes de Mesquita awarded a certificate of appreciation to the President of the International Judo Federation Marius Vizer, as a gesture of gratitude for his commitment to combating the discrimination of Israeli athletes and working to ensure that judo remain a positive and tolerable sport. 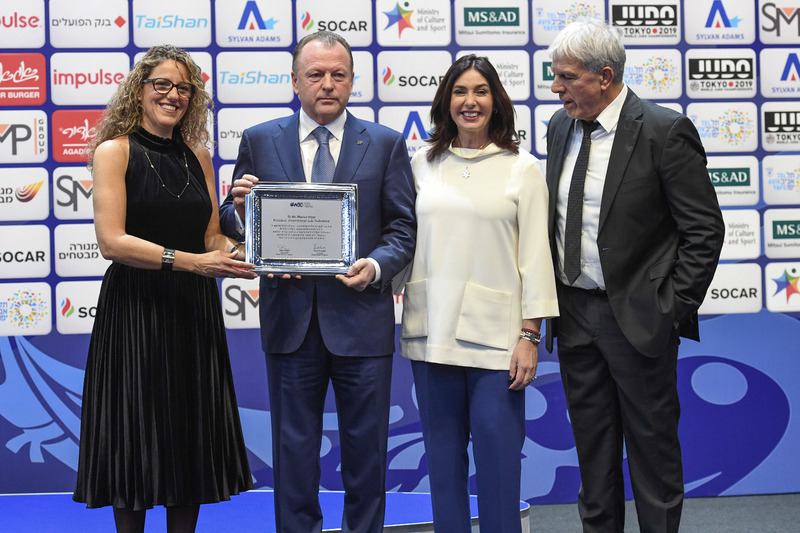 Gomes de Mesquita was accompanied in the presentation by Israeli Culture and Sports Minister Miri Regev and President of the Israel Judo Association Moshe Ponte. Earlier this year, Vizer decided to suspend upcoming planned judo tournaments in Tunisia and the United Arab Emirates following the host countries’ refusal to guarantee equal rights and treatment to Israeli athletes. 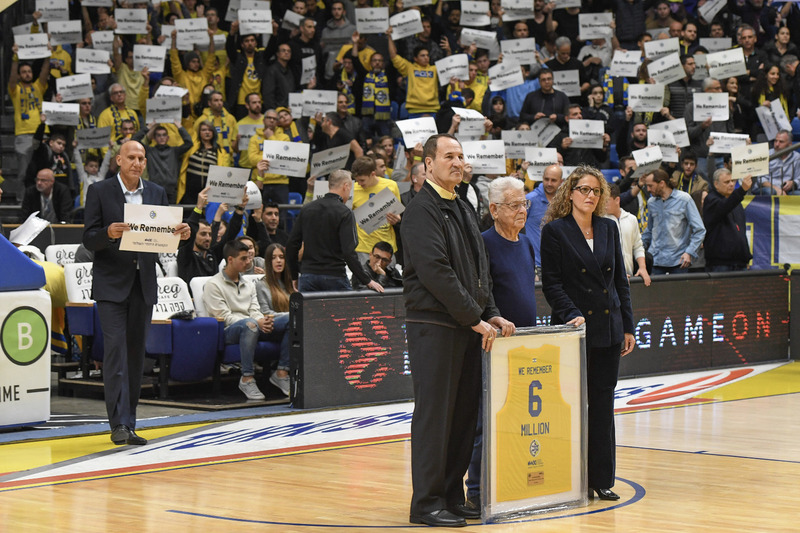 Also Thursday, Maccabi Tel Aviv joined the World Jewish Congress in a moving tribute for the #WeRemember campaign at its EuroLeague game versus Panathinaikos, with 11,000 fans in the stadium standing in unison holding #WeRemember signs. Last year, 11,000 Maccabi Tel Aviv fans joined the WJC for a similar tribute.